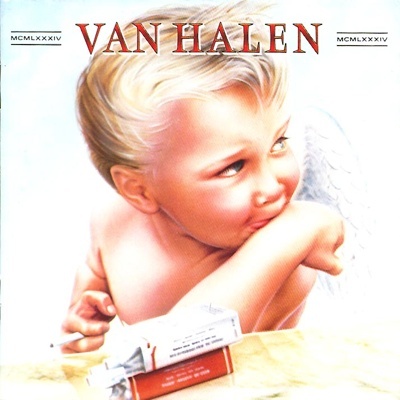 Van Halen’s sixth album, released January 1, 1984. In the Fall of 1983, following several months of touring, and intra-group hassles and arguments, the boys finally regrouped for a few weeks to rehearse new songs for this album. For the first time, the band recorded at Eddie’s home studio which he dubbed “5150.” The album was recorded quickly with very few instrumental overdubs, once again employing Ted Templeman as producer. 1984 marked the first time the members of Van Halen became personally involved in producing and mixing their music. Throughout the sessions the group’s musical techniques evolved. Alex’s drumming was more melodious than ever, and this album marked the first time Eddie’s synthesizer played such a prominent role in so many songs. 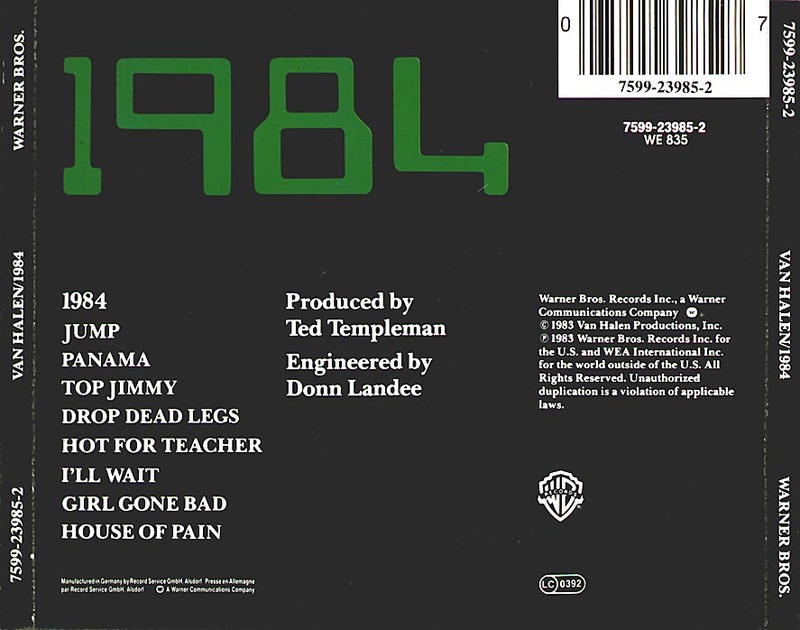 1984 proved to be the band’s biggest, most successful album to date. The album spent five weeks at #2 in the States and hit #15 in the UK. It sold over three million copies in the first three months of its release. A major landmark gig in their “1984” world tour was the Monsters of Rock Festival at Castle Donnington in England. But all was not well within the group. Even though more than ten million copies of 1984 were eventually sold, this was Van Halen’s last album with Dave, who left in an acrimonious split in June, 1985.